This darling hat is an Edwardian era style. It features a very soft, unstructured crown, gathered into a down sloping brim. Super easy to construct, and looks just darling. 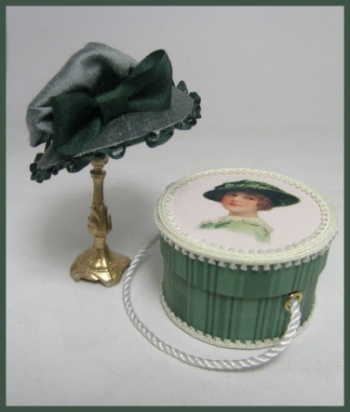 Matching Hatbox Included. Download is in PDF format. It contains complete instructions with dozens of photos, full size pattern pieces for the hat and hatbox, and full color artwork for the hatbox.